This is a very impressive book. Not just because of its quality, scholarship and sheer size, but also because of the commitment it has taken, from all the diverse contributors, to get the new edition into print. Covering 1367 plants with beautiful line drawings of each and photographs as well, this 4th edition was 13 years in the making. The first edition was published in 1991 by the Maroondah chapter of the Australian Plants Society and subsequent editions still reflect their input. Author Marilyn Bull worked devotedly on updating, checking, photographing and co-ordinating the book’s contents that not only look at the indigenous (and wild introduced) plants, but also habitat, soils, regeneration, weeds and EVCs (ecological vegetation classes). While this is a catalogue of a specific region, the vast majority of the plants can be found in other parts of Victoria and many in other parts of Australia. Careful and long thought has gone into the design which makes it easy and intuitive to use and the information readily accessible, while the drawings by George Stolfo and photographs make it a pleasure to dip into or study at length. 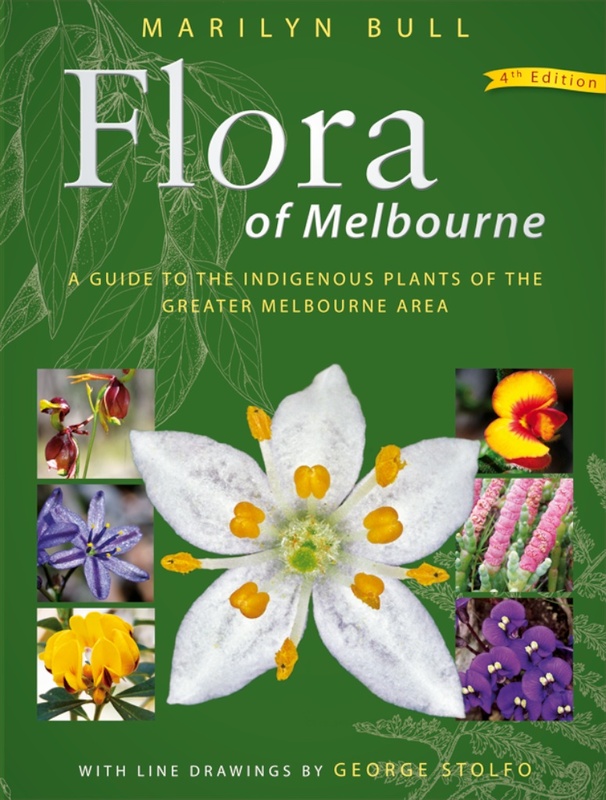 With widespread recognition of the importance of indigenous species in both the bush and our gardens, both for their own sake but also to provide homes and food for indigenous fauna from insects to birds and mammals, Flora of Melbourne is an essential reference. There are also symbols that show which plants attract birds and butterflies. If you don’t want to buy your own copy (although I think the price is very reasonable for the content, size, quality and breadth of information) then get your library to buy one so you can marvel at the scope and beauty of this landmark book.